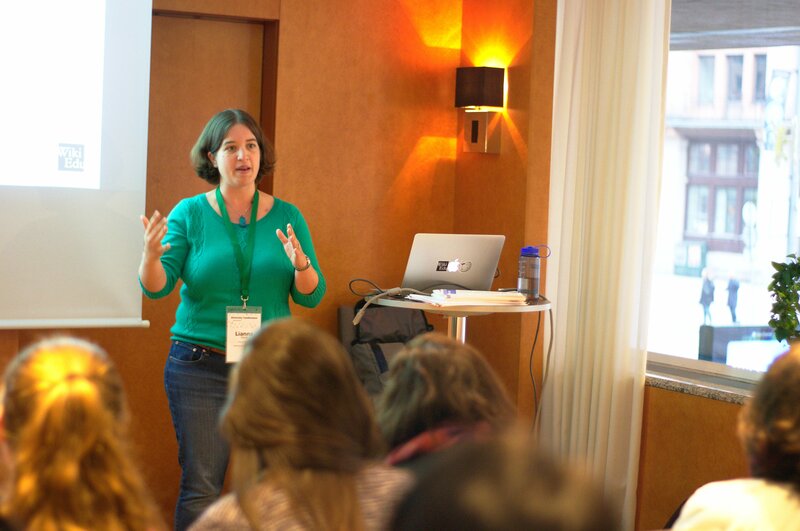 Earlier this month, I had the privilege to attend the Wikimedia Diversity Conference in Stockholm, Sweden. Hosted by Wikimedia Sverige, the conference brought together around 80 participants from 43 different countries. We share one common goal: to ensure the Wikimedia projects represent the full diversity of human knowledge. Wikimedia Diversity Conference 2017 Group Picture. Image: File:Wikimedia Diversity Conference 2017 – Group Pic.jpg, by AbhiSuryawanshi, CC BY-SA 4.0, via Wikimedia Commons. Wiki Education’s work focuses primarily on the English Wikipedia, which gets 49% of all the views to Wikipedia worldwide. In other words, English Wikipedia is where people worldwide go to access knowledge almost more than all the other language Wikipedias, combined. That’s why it’s so critical that the information on the English Wikipedia cover diverse topics. The sum of all human knowledge needs to include topics traditionally under-covered by Wikipedia’s volunteer editing community. English Wikipedia’s well-documented gender bias (there’s even a Wikipedia article about it) is one example of the systemic bias permeating Wikipedia, and one important way to help address these concerns is through education programs like the one we run at Wiki Education. In our Classroom Program, university students who are studying race, gender, and sexuality for their coursework contribute to previously underdeveloped Wikipedia articles on these topics as part of their coursework. In doing so, students learn key media literacy, critical thinking, and research skills while also grappling with the theoretical side of knowledge production, while Wikipedia gets more diverse content in these topic areas. Director of Programs LiAnna Davis co-led a skill-sharing workshop at the Diversity Conference on scaling diversity programs. Image: File:Wikimedia Diversity Conference, Stockholm, Day 2 by Dyolf77 DSC 6892.jpg, by Dyolf77, CC BY SA, via Wikimedia Commons. At the Diversity Conference, I was honored to co-lead a skill-sharing session on scaling diversity programs. With the Wikimedia Foundation’s Tighe Flanagan, we shared our experience in planning diversity programs like the education program. I mapped out how Wiki Education used process mapping to create a scalable solution to our program. Reem Al-Kashif from the education program in Egypt, Camelia Boban from the WikiDonne User Group, and Stella Sessy Agbley from Wiki Loves Africa in Ghana all presented tools that helped them scale their programs as part of our session as well. We also support the work of existing Wikipedia editors in our Visiting Scholars program, where we provide a university login for editors interested in improving a topic area. Two of our Visiting Scholars, who edit in diversity areas, were also at the conference. Jackie Koerner, who improves Wikipedia articles on disability topics thanks to her role as a Visiting Scholar at San Francisco State University’s Longmore Institute on Disability, wrote a great piece about her experiences at the conference. Rosie Stephenson-Goodnight, who works on articles about women writers thanks to resources from her Visiting Scholar position at Northeastern University, also led a session on gender diversity mapping. I was also honored to have a great working breakfast with Jackie, Rosie, and Cal Poly Pomona librarian Kai Smith, who is considering hosting a Visiting Scholar, about the program and how libraries can be more involved in Wikipedia work. Wikimedia Sverige put together a fantastic program that included lots of small group discussion, which was really great for getting the perspectives of other conference participants. We spent a fair amount of time grappling with what the new Wikimedia strategic direction means for diversity, and I particularly enjoyed a small group discussion about how to include diversity in our success metrics moving forward. 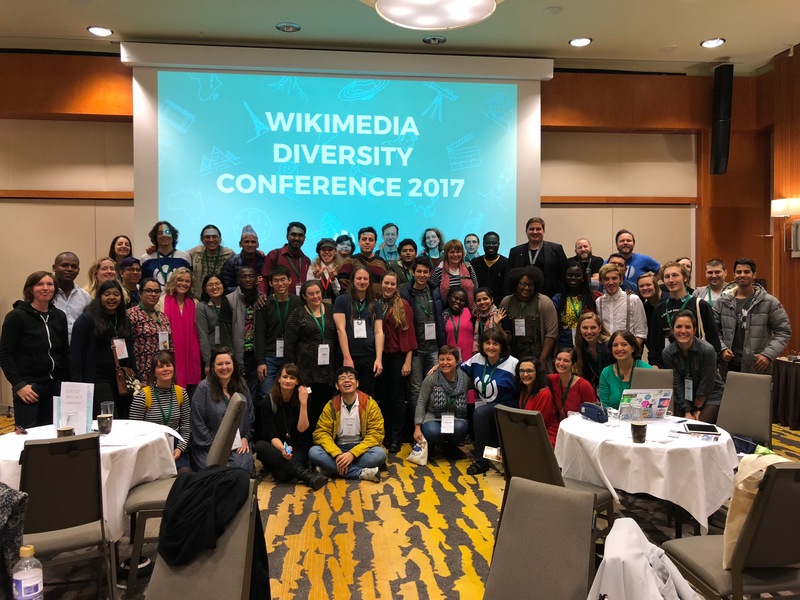 Hearing from others globally how they’ve worked through diversity challenges really inspired me, and the group’s energy to make Wikimedia projects more diverse in both content and contributors was incredible. Many thanks to Wikimedia Sverige for hosting a great event, and to my fellow attendees for making it a productive event filled with informative discussions, learning, and sharing.